July 31, 2014 - The IDF suffered the loss of five soldiers on Thursday after a mortar fired from Gaza hit their position in the Eshkol Regional Council near the border with the Gaza Strip. The names of the IDF soldiers killed are: First Sergeant (res.) 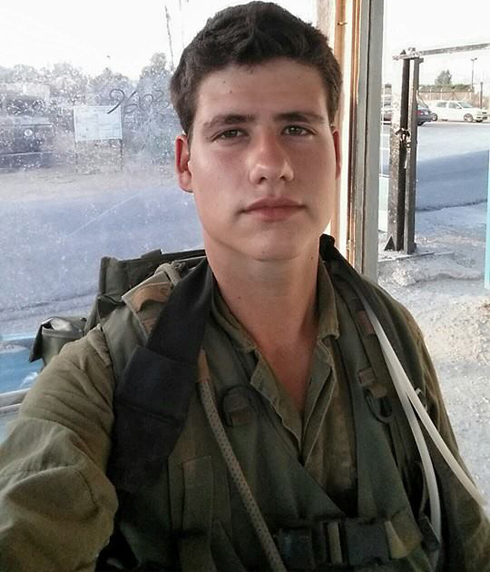 Daniel Marash, 22, from Rishon LeTzion, Captain Omri Tal, 22, Staff Sergeant Shay Kushnir, (pictured above) 20, from Kiryat Motzkin, Staff Sergeant Noam Rosenthal, 20, from Meitar and Captain Liran Adir (Edry) (res. ), 31, from Azuz were killed in the attack in the Eshkol Regional Council. Families were notified and the incident was cleared for media publication early Friday morning bringing Israel's total military death toll in Operation Protective Edge to 61. The IDF says that 20 of the deaths occurred within the Gaza Strip due to mortar fire and terrorists who used smuggling tunnels to infiltrate behind enemy lines.